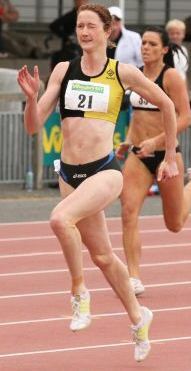 Joanne Cuddihy (Kilkenny City Harriers AC) claimed victory in the Australian National Championships in a time of 51.69. This leaves Cuddihy only .14 outside the required Olympic standard of 51.55. Catriona Cuddihy (Kilkenny City Harriers), younger sister of Joanne was also competing. Catriona finished in eight position recording a new personal best time of 55.03.